Hey, young bloods! 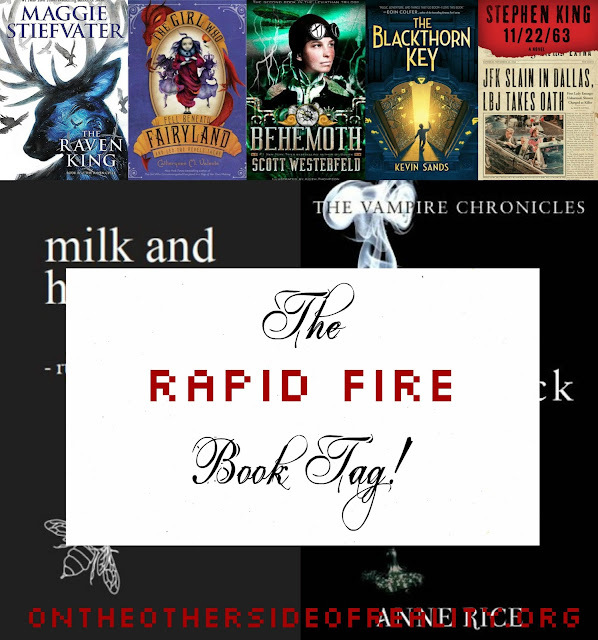 Today, I'll be stealing a super fun book tag from the lovely Beth @ Reading Every Night. Without further ado, I hope you enjoy! Ooh! 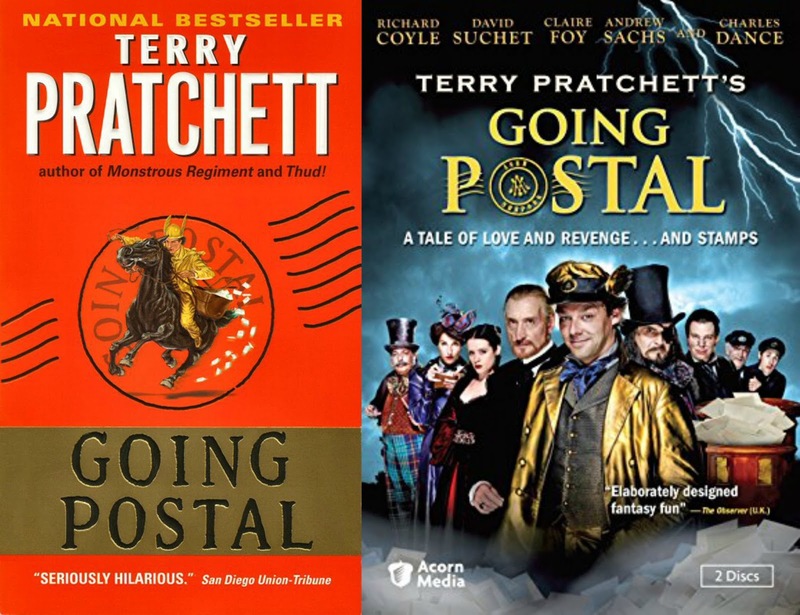 Although I've been reading more eBooks recently, I'm going to have to go with physical books. I usually feel much more connected to the story itself when I'm holding a book in my hand. Hardbacks are prettier, but paperbacks are so much easier to hold and carry around! Villains! I feel slightly bad for saying this, but there it is. Villains usually interest me so much more. If you want to understand (or even if you don't) what it is to be a woman in the world today, read this book. And even if you think you already understand, I pretty much guarantee this book will still give you new insights and new sobering depth of knowledge. I genuinely don't understand why this isn't more popular. The voice is hilarious yet down to earth, the story is incredibly suspenseful, the writing is compelling, and the characters are delightful yet heartbreakingly real. There's magic, murder, mystery, and plenty of explosions. This was hands-down one of the very best books I read last year (second only to Merrick by Anne Rice), and the sequel was equally amazing. I absolutely can not recommend this title enough. 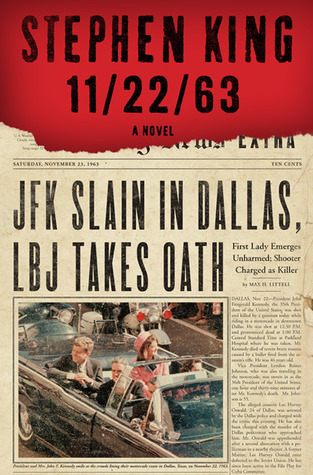 11/22/63, a time travel thriller by Stephen King. I'd never read any King before (primarily because I rarely like horror novels), but this was a 100% horror-free book I really enjoyed. It was suspenseful and compelling, and though I didn't like them at first, I grew to love the characters by the end. 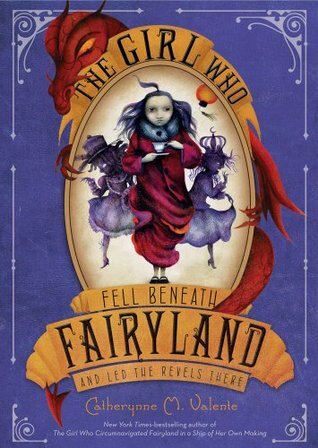 September has longed to return to Fairyland after her first adventure there. And when she finally does, she learns that its inhabitants have been losing their shadows—and their magic—to the world of Fairyland Below. This underworld has a new ruler: Halloween, the Hollow Queen, who is September's shadow. And Halloween does not want to give Fairyland's shadows back. Oh man, I am SUCH a stickler about always using actual bookmarks. :P The weirdest thing would probably by a sticky note?? I know, that's actually pretty normal. But I always make sure to have multiple bookmarks on hand in case one goes missing. Usually yes, with a few exceptions. I really like marking up poetry books, so if a used poetry book already has markings in it, I probably won't go for it. I also like my journals to be unmarked. But honestly? Other than that, I love with used books. I adore the feeling of community you get from giving new interest to someone else's old book. In terms of story type: Fantasy (life), poetry (Rupi Kaur, N.L. Shompole, Jack Kerouac, E.E. Cummings), and magical realism (if you have any good recs for this genre, other than When the Moon Was Ours, I'd love to hear them!). In terms of story audience: Middle-Grade (ages 8-12) is hands down my favorite, followed by adult and children's. My budget says borrow, but my heart says buy. Whatever length is needed to best tell the story. I tend to prefer short books, though. Long ones scare me. Proportional to the book size. F I C T I O N A L.
No. They're great for road trips, but that's about it. They take so long to get through! Oh, man. ALL THE TIME. A solid 75% of the reason I refused to read The Raven Cycle for so long is because I really don't like the covers. I'm going to quote Beth for this question, because she said it perfectly: "Book to TV Adaptations. There’s a limited amount of time in a movie to develop the world, the characters and the story, whereas in a TV show you have a whole season worth of episodes to do the same thing." 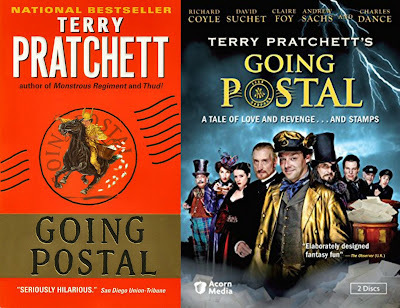 Going Postal by Terry Pratchett. The book was incredibly slow and boring, but the movie was action-filled and dynamic. STANDALONES. They are SO much less intimidating and stressful. Let's chat! What's the last book you finished? A story you want everyone to read? Favorite genres? Comment below, and remember that you are all very beautiful pickles. For sure! I've started downloading books on my phone, and they're so easy to whip out if I'm in a waiting room or standing in a super long line. FANTASY all the way! :) And I've used tissues as bookmarks before, so that would have to be the weirdest thing I've ever used. XD Great post, and good luck with the school musical! This is a cool tag I feel like I've learnt so much about you. I am totally the same, I prefer trilogies because otherwise I feel like I am waiting a billion years to finish a series. 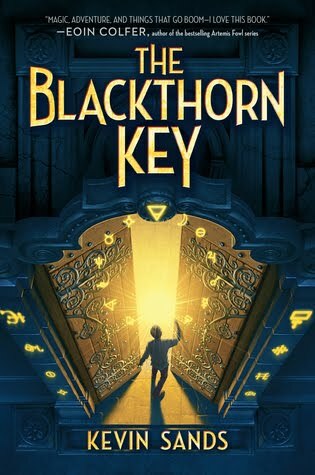 The Blackthorn Key sounds super interesting, I'm not sure if I've heard of it before. Great Post! Finishing trilogies also decreases the size of a person's tbr pile way faster than finishing an 8-book series does. XD Thank you! Saaaaame! I feel so bad when I have my pretty hardcovers standing up in a sea of battered paperbacks, but then I remember budget and portability. "My budget says borrow, but my heart says buy." --I could not relate more. And I used to prefer eBooks because I could all these highlights and notes and it was all nice and portable, but I've started to prefer physical books this past year or so. And I've never understood people's inclination to buy books online instead of in an actual bookstore. Like, have you BEEN in a bookstore? They're magical and I would gladly live in one if I had that option! Anyways, awesome post, Ellie! I could spend forEVER in bookstores, let me tell you. There are some books - like self-published titles - you have to buy online, though, because stores won't carry them. :( Thank you!! 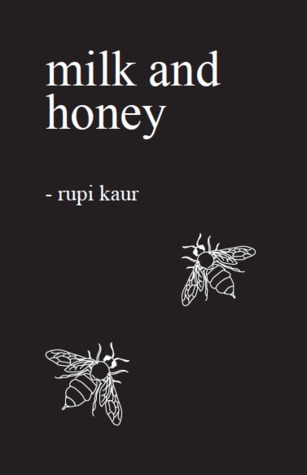 dude, if i could i would take every copy of milk and honey and give it to every. single. person on this planet, it's freaking amazing. Oooo! Another great tag! These make for great conversation at casual gatherings. The last book I finished was Demon Ex Machina by Julie Kenner. It's book 5 in the Demon-Hunting Soccer Mom series. Book 6 is waiting to be purchased - I have to find my gift card. It's a fun series, but the main character can get frustrating. I like trilogies and series, but my biggest reading pet peeve is picking up what seems to be a standalone book only to find it is book part of a series. Even more annoying if it is not book one. Then sometimes you get a great story and book and think it wraps up well and find out it is book one in a series. Standalones rock! With regards to eBook or real book - real book all the way. Spacially, eBooks take up much less shelf space, but I've found they do a number on my eyes, so can only read one long or three shorter books before heading back to paper and ink. I can spend hours in store! Love being surrounded by books. Like when Belle sees Beast's library for the first time...yeah, that's me. Bookmarks are the best. I have a great variety, but in a pinch I use all sorts of paper scraps. The worst is doing a reread and coming across an uncashed check. LOL Thankfully, I've only found two and they totaled $35. So I didn't miss much. :-) I've been known to use a gift card, post it, straw paper, business card...you get the picture. The first three books I can think of: Girl of the Limberlost, Harry Potter and the Sorceror's Stone, Shiver. I did renew my library card recently so I could read Darynda Jones' Charley Davidson series. But as I said I have a cart waiting to be paid for at BN.com. Adaptations are tricky. I like that you can spread out and do more over the length of a TV season. However, lately new series get maybe 3 episodes to to gather ratings or they are canceled. 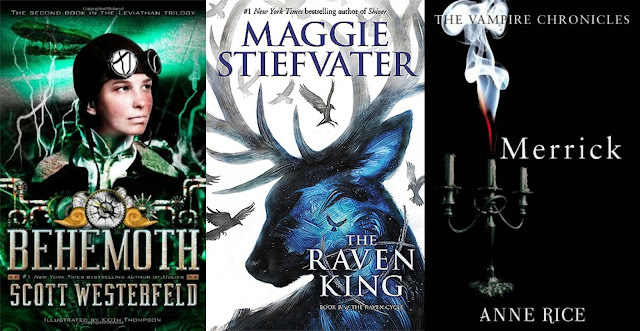 Plus, I've been super excited to have a series go to TV only to see it go wildly off book (Sookie Stackhouse/True Blood; The Mortal Instruments/Shadowhunters). Some do not (Outlander, Poldark). Of course, the same can happen with movie adaptions. Thank you for this awesome topic! I used to think eBooks didn't work with my eyes? But I've recently started getting into them again, and now I'm thinking that either my eyes have improved or I don't notice the problem since I'm now reading eBooks I like. OH MY GOODNESS, YES. So many books, so little money.